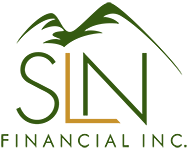 September 27, 2017 - Ways to Stay Active In Retirement | SLN Financial, Inc. Ongoing exercise is highly important as you age. In fact, research reveals that regular exercise—especially interval training—can help people reverse some of the aging effects that happen in our bodies’ mitochondria.2 And other research has found that moderate exercise as people age could potentially help increase the brain’s metabolism in areas related to learning and memory, which could reduce the chance of Alzheimer’s disease.3 To help retirees stay fit, the National Institute on Aging encourages people to focus on various exercises that promote endurance, strength, balance, and flexibility.4 You can access their toolkit and more information on the importance of exercise on the NIA’s website. If you’re retired with extra time on your hands, consider engaging with local community centers, nonprofits, or other organizations. You may find that you have more energy and feel happier—all important elements of enjoying life in retirement. A trend is emerging among people who are 50 and older: They are starting businesses at higher rates than any other generation. As a result, they’re some of the most active entrepreneurs in the country. But most Baby Boomer business owners aren’t trying to replace corporate incomes or grow large companies. Instead, 80% of these small businesses are lifestyle driven and exist to help support retirement income and keep retirees engaged.6 Further, working longer isn’t just a way to fill your free time and have more income; it can also have helpful health benefits. Whether you want to work part- or full-time, have a lifestyle business or grow a franchise, choose the business vision that works best for you. Retirement is an opportunity to pursue lifelong dreams and enjoy new experiences in the ways that matter to you. Overall, your unique financial goals and activity interests will help determine how to best spend your retirement. If you’d like to explore ways to stay active, we’re happy to help.